I was a bit “scared” of baking duck as I always had the feeling there is no way it won’t be dry as the desert – however when my boyfriend insisted to try it out there was no way of rejecting it. 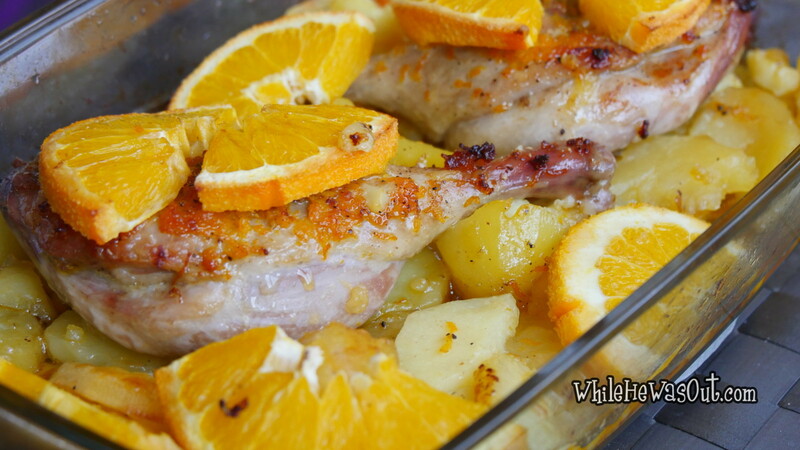 Thus we arrived home with our 2 pieces of duck legs, some potatoes and an orange and I started to prepare a no-way-it-will-be-dry duck lunch. And sometimes miracles happen: it turned out great! 1. 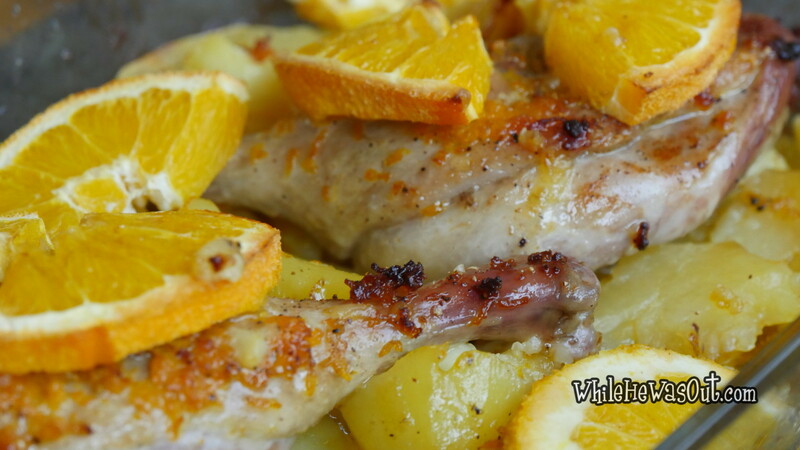 In a frying pan, on a bit of olive oil roast both sides of the legs, few minutes only, until they grab some color. 2. 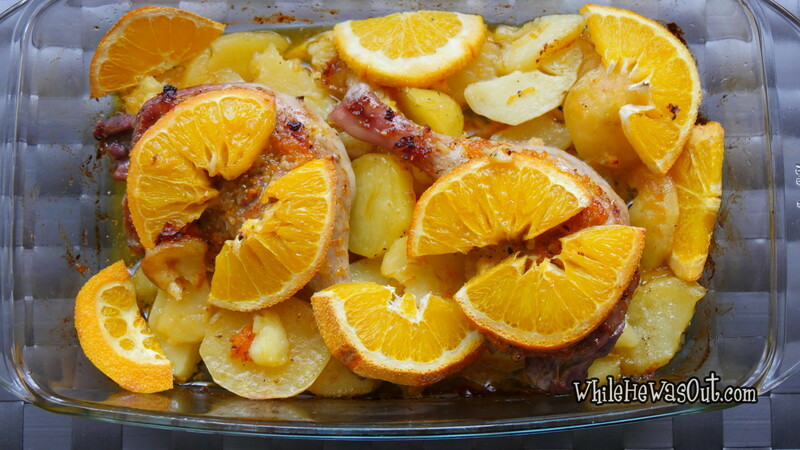 Sprinkle 2-3 spoonfuls of olive oil in a heat resistant baking dish and place the cubed potatoes and duck legs in it. 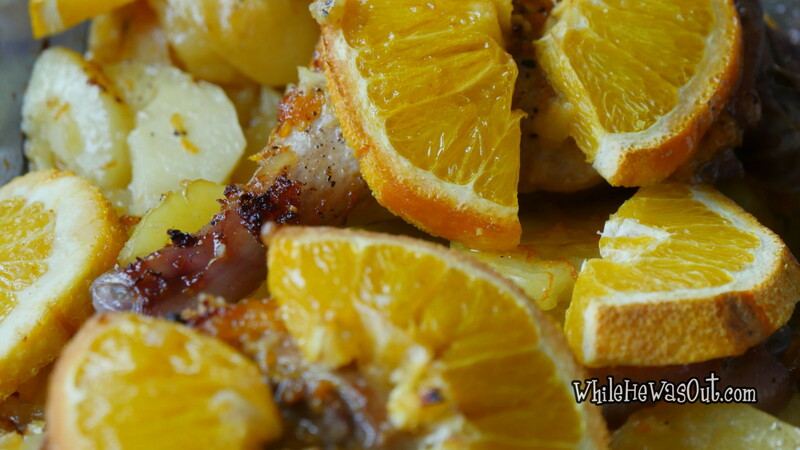 Rub the legs with the shredded orange peel, sprinkle with salt, pepper and olive oil. 3. Pull a baking bag on the baking dish (or cover with foil) and pop it in the oven. 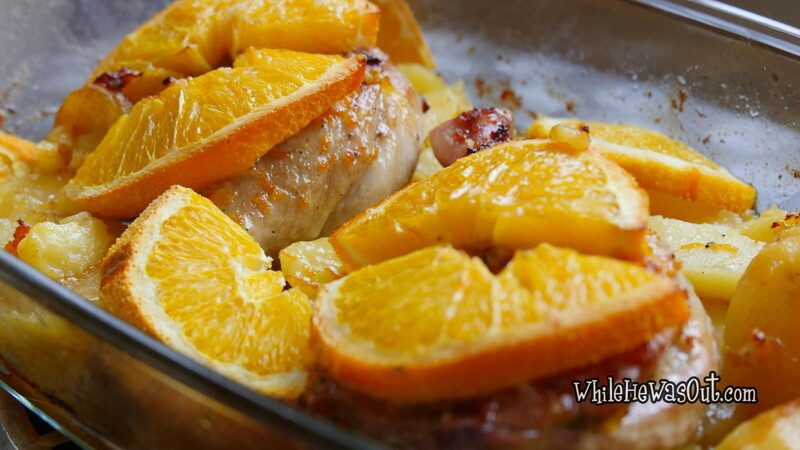 Bake for about 30-40 minutes – covered – at 200°C/390°F, then remove the bag or foil, place the orange slices on top and bake for about 20-30 minutes more while sprinkling every now and then with the juices that collected in the dish. Oh dear, I hadn’t heard there was the bird flu over there. I love duck and this looks like a winner. It’s hard to buy it over here so every time I see it on a menu at a good restaurant, I always get it. I just love the flavor. Thank you Diane 🙂 Its quite easy to come by here so I’ll probably buy it more often after this success! Still the best I ate was in a Chinese fast food restaurant in Slovakia!